1.Weighing accuracy 0.5 to 1.2gram. 2.Computer control and English-Chinese touch screen for easy operation without stopping the unit. 3.Intelligent temperature controller for easy adjustment and good application to various laminated film and paper. 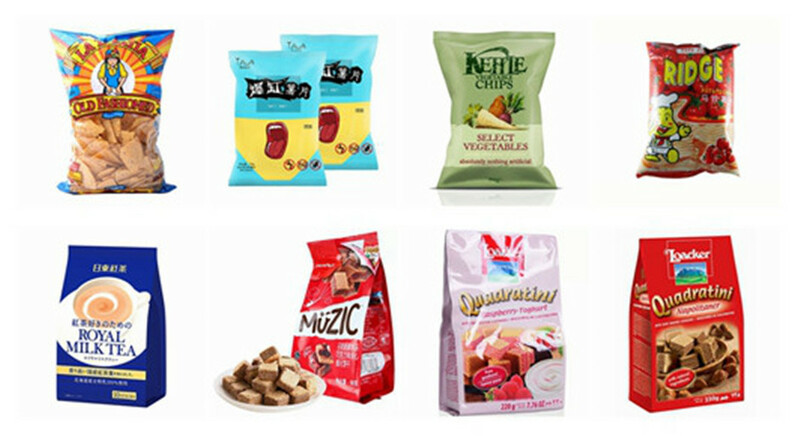 4.Packaging diversification, such as pillow bag, gusseted bag, hole punched bag etc. 5.Full automation from bag forming, filling, sealing, cutting and date printing. 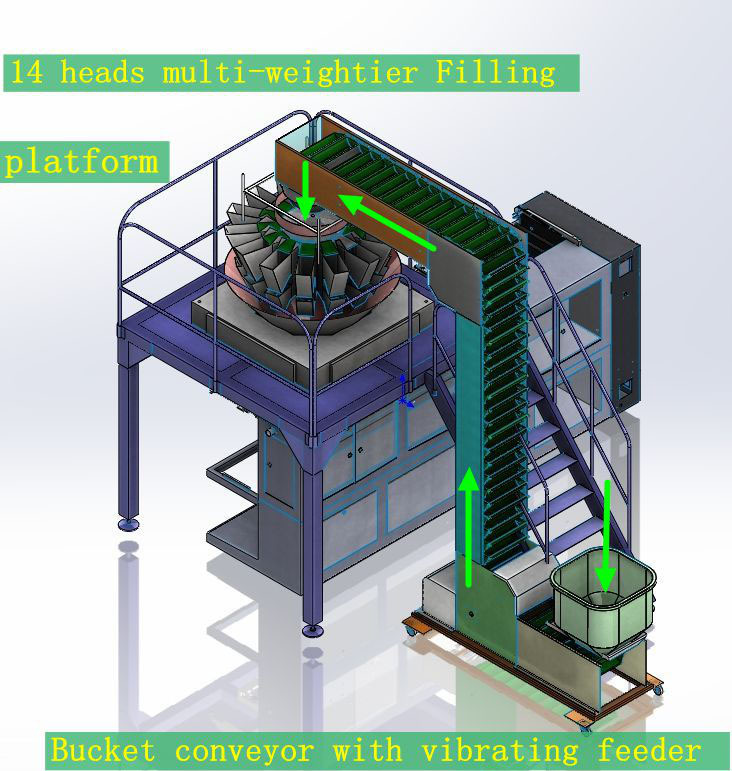 6.Multi-heads scale filling system for filling accuracy and good application to various kinds of products. 1、High Accuracy in bag length and positioning. 1、Easy to adjust sealing pressure. 3、high sealing strength without leakage. Suitable for snack granules,popcorn,peanut,nut,coffee beans,coffee powder,seasoner granule/powder , aginomoto,white sugar,grains,seeds, plastic/hardware granules etc automatic packaging.